Here comes the winter blast!!! 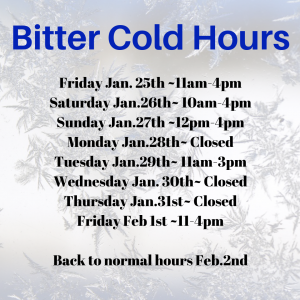 Jan.24th -Feb. 1st we will be having bitter cold hours. We hope everyone stays warm during this cold blast here in the midwest. Back to normal hours Feb. 2nd! !